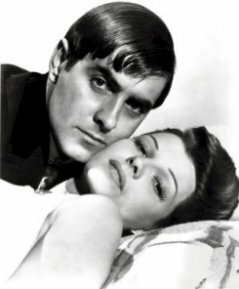 Vincente Blasco Ibanez in Blood and Sand, wrote a novel that can never lose its popularity because it presents a blazing picture of Spanish life as it can be lived only in Spain. A life that was flaming, tempestuous, fierce and magnificent while it lasted a life of heroes and idol worship, of hate and love in a setting of gorgeous beauty. It is the story of one of the world's most fearless men -- men who defy death in the arena for love and fame. 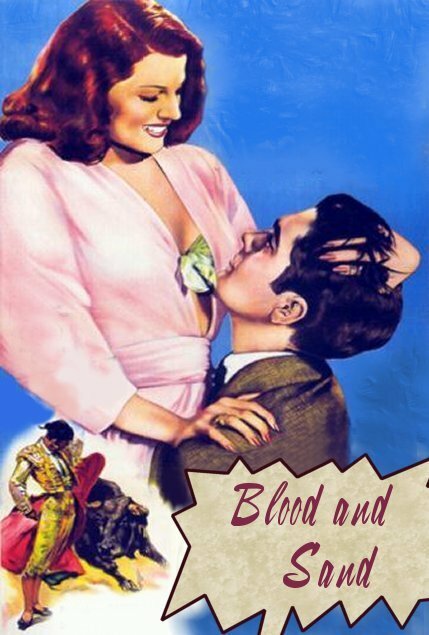 Based on this novel, Blood and Sand tells the story of Juan Gallardo (Tyrone Power), the ragged, hungry urchin who becomes his country's greatest matador, but forgetting his childhood sweetheart, Carmen Espinosa (Linda Darnell), is conquered at the peak of his power by a beautiful porcelain-hearted siren, Dõna Sol (Rita Hayworth). 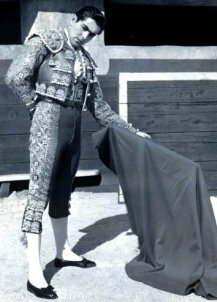 Having left home as a youngster to escape police action for assaulting Natalio Curro (Laird Cregar), noted bullfight critic, who insulted the memory of Juan's father, a famous matador killed in the arena, Juan returns from Madrid as a full-fledged bullfighter. But all is not well in the ranks of his cuadrilla (troupe of assistants). Nacional (John Carradine) wants to leave bullfighting for politics. Manolo (Anthony Quinn), jealous of Juan, wants to become a matador in his own name. But a rift is temporarily avoided. Even loyal Garabato (J. Carrol Naish) remains steadfast. Home from his wanderings, Juan showers his mother (Nazimova) with gifts, sets his sister's fiance up in business, so that he can marry her (Lynn Bari), and discovering that he and Carmen still love each other, gets married himself. He soon becomes the greatest matador in Spain, and Curro, who defamed his father's memory and called Juan a fifth rater, now fawns upon him. One afternoon at the arena, Juan catches the eye and fancy of Dõna Sol. She invites him to dinner. Meeting follows meeting, and Juan falls madly in love with this worldly woman. He becomes indifferent to his wife, to his friends, and his work in the bullring is slipshod. As a result of negligence, his two friends and aides, Pablo and Nacional, are fatally gored. Carmen, terribly hurt when Dõna Sol kisses Juan in her presence, leaves him. 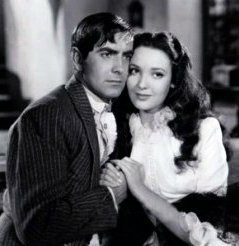 Public disfavor follows, and even the once adulatory crowd forsakes him for Manolo, who has by this time become a famous bullfighter. The bitterest blow falls when Manolo takes the fickle Dõna Sol away from him. His mother makes him promise that he'll retire from the arena after one more performance. Although he's never performed more brilliantly, and wins the begrudging approval of a hostile crowd, he is gored by a Muira bull, as his back is turned from the bull and so that he can acknowledge the cheers of the crowd. Carmen, faithful wife to the end, holds him in her arms as life ebbs from his young body.